To this point in Level One, we've been covering fundamental concepts of Magic. These can be applied to any game, played with any deck, between any two players. However, part of the beauty of Magic is in its many variations. New cards are released every few months, so we constantly have new tools to work with and new hazards to challenge us. 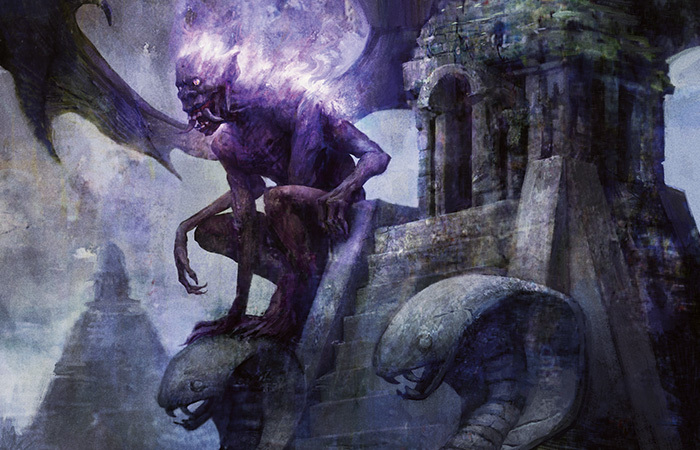 What's more is the variety of different tournament formats possible in Magic. On any given weekend, you can find tournaments in any of a dozen or more different formats! You can find information about the most commonly played formats here. A tournament's format establishes what cards are legal. 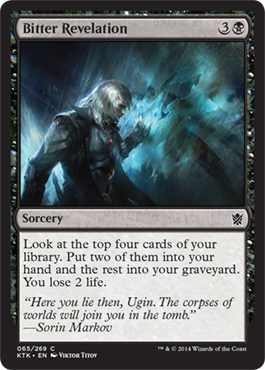 This means: what sets of cards you can build your deck from, whether or not any cards are banned, and any other special rules unique to the format. Beyond that, there are two major categories of formats: Constructed and Limited. For Constructed events, you build a deck (usually 60 cards) at home and bring it to the tournament. For Limited events, you open fresh packs of cards once the tournament begins and have to build your deck (usually 40 cards) on the fly. Limited formats, while difficult to master, are perfect for beginning players, since they won't be at a disadvantage for not owning an extensive collection of cards. Every format has its own qualities that make it unique and challenging. Each requires a slightly different skill set to master. Today we're going to focus on Sealed Deck. Sealed Deck is one of the two common Limited formats (along with Booster Draft, which will be covered in a future article). You open six booster packs, add as many basic lands as you like, and build a 40-card deck out of it—simple as that! Of all formats, Sealed Deck is a great starting point because the fundamental concepts of Magic shine through most clearly. Sealed Deck can be played with any set, and what we'll cover today can be applied to any Sealed Deck format, past or future. 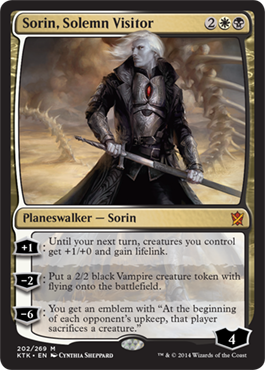 However, in honor of the Prerelease this coming weekend, we'll discuss the format with an eye toward Khans of Tarkir. Six booster packs is not a whole lot to work with. With all players having limited resources, it makes for a format with a low overall power level. While you might have some kind of rough strategy in mind, you typically won't be able to build a very focused deck because you won't get enough cards of any one particular type. Instead, you should aim for a well-balanced deck with a healthy mix of threats and answers. Games of Sealed Deck often go long, rarely ending before turn six or seven, and sometimes stretching until turn fifteen or twenty. This means that if you're not careful, you can spend the seven cards from your opening hand very quickly and be at the mercy of drawing one card per turn for a large portion of the game. Sealed Deck is about planning for these longer, more drawn-out games, as well as about avoiding a couple of common pitfalls. Mana ought to be your number one priority in Sealed Deck. Building a reliable mana base and a balanced mana curve is half the battle. If you're looking for a refresher course on how to make your mana base and the rest of your deck fit together well, you can find one here. 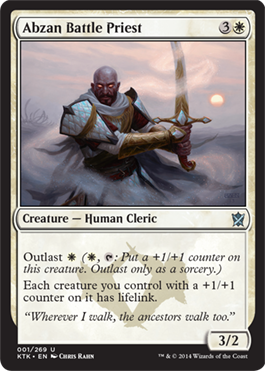 Note that in that article, I strongly advocate two-color decks. In Sealed Deck, generally speaking, sticking to two colors is usually best, as decks of three or more colors can be prone to awkward mana draws. However, Khans of Tarkir is a special case because it's a set that emphasizes multicolored cards; it's designed for players to most-often play three-color decks (although playing two colors or four colors may still be possible). 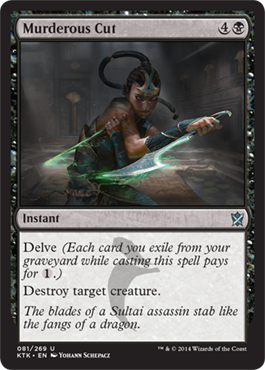 Mana will be a special challenge in Khans of Tarkir Sealed Deck. Thankfully, the set offers some tools to help meet the demands of a three-color mana base. You can add any number of basic lands to your Sealed Deck, but you're limited to only the nonbasic lands that you open in your booster packs. Lands that produce more than one color of mana will be extremely valuable, and looking at which nonbasic lands you have is a very good place to start when you first open your packs. Let's say that you want to build a deck with white, black, and green (the colors of the Abzan Houses). If you had to rely on six Plains, six Forests, and six Swamps to cast your spells, your deck wouldn't be very reliable. In some games you wouldn't draw any Plains, in some you wouldn't draw any Forests, and in some you wouldn't draw any Swamps. 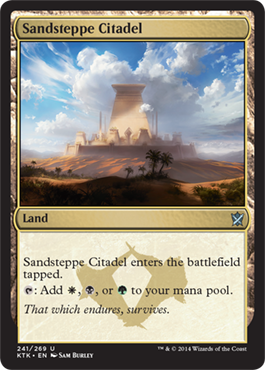 However, if you instead got to play with a Sandsteppe Citadel, a Scoured Barrens, and a Jungle Hollow in place of three basic lands, then you'd have extra sources of all three colors of mana and your deck would become a bit more reliable. Another technique is to focus your deck primarily around two colors, and make your third color a splash for a couple of powerful multicolored cards. For example, you could center your deck around white and green, and just have a little bit of black. 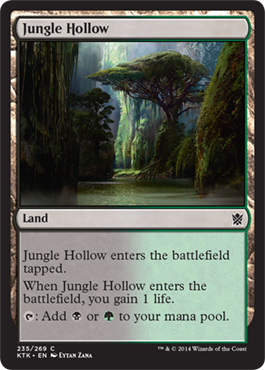 This way, you simultaneously get to play with more Plains and Forests and you reduce the negative impacts of not drawing your black mana right away (since you have fewer cards that depend on it). It's a sad fact that some portion of Sealed Deck games are determined by one player or the other having an awkward mana draw. It won't matter how good your cards are if you simply can't cast them! Build your deck with a reliable mana base and you'll minimize the number of games you lose to an awkward mana draw. Build your deck with a balanced mana curve (with enough cheap creatures) and you'll maximize the number of games that you punish your opponent for stumbling on mana. Some number of games are decided by one player having an awkward mana draw. Once a game progresses beyond that point, though, there's one more clear-cut way that a game can be quickly decided. That's if one player has an unanswered bomb. Bomb is a term used, usually in Limited formats, to describe a card that's so powerful that it will often determine the outcome of a game all on its own. Just like when you have an awkward mana draw, losing to a bomb can be a frustrating experience. However, just like building a reliable mana base, there are things you can do to help make sure that you're on the winning side of a bomb. The first, naturally, is to play with as many of your own bomb cards as you can! When you open your packs, take note of your very best cards (especially among your rares). Single cards that have an abnormally high impact on the game can give you a huge advantage in Sealed Deck, and it's often worthwhile to go out of your way to play with them. The second is to have as many answers to bombs as possible. Short of bombs themselves, removal spells are among the best cards in Sealed Deck. Having an answer to your opponent's bomb often means the difference between defeat and victory. Not only should you include as many removal spells as possible in your deck, but you should also be patient with your removal spells during gameplay. It's a shame to waste your removal spell on your opponent's Mardu Skullhunter only to lose to Necropolis Fiend later in the game. Some number of games are decided by someone having an awkward mana draw, and some number are decided by an unanswered bomb. However, when both players can manage to avoid these dangerous pitfalls, you can expect a game of Sealed Deck to go on for a long time. Once in a while it'll happen that one player has an excellent draw of powerful creatures and wins the game in a convincing fashion. Remember that it's difficult to build a powerful or a focused deck with only six booster packs. Much more likely is that both players will deploy creatures of comparable power level until the board gets clogged up and neither player can profitably attack. This is called a creature stall. Creature stalls are common in Sealed Deck, so it's important to have a plan for breaking parity. Whenever possible, look for ways of earning card advantage (either technical card advantage or virtual card advantage). Drawing extra cards or having a high concentration of high-impact cards will give you an advantage in a drawn-out game. 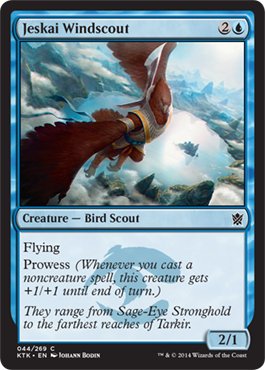 A second way to break a creature stall is with evasion creatures—creatures that have flying or are otherwise unblockable. The value of evasion creatures skyrockets in Sealed Deck. If neither player can manage to break the creature stall, then the game may be decided by mana flood (one player drawing too many lands). It can feel unlucky when you start drawing more lands than you want, but note that this is an inevitable part of a game that goes long and is very common in Sealed Deck. You can minimize your chances of mana flood first by building your mana base and mana curve carefully, and second by including as much card advantage and as many high-impact cards in your deck as possible. Finally, you can look for mana sinks. 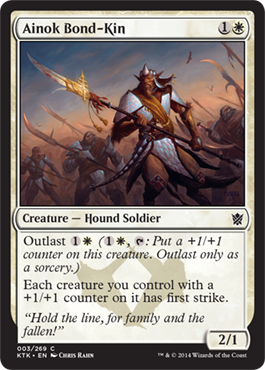 Cards with outlast are examples of mana sinks. Again and again I've brought up the idea of high-impact cards. In a long game of Sealed Deck, it's easy to spend the seven cards in your opening hand quickly and be stuck playing off the top of your deck. In games like these, it's of paramount importance that you get as much as you can out of every one of your cards. Remember, you need an adequate number of lands for your deck to function, and you need a balanced mana curve so that you don't get overrun in the early game. Keeping these things in mind, here are some techniques you can use to maximize your number of high-impact cards. First, don't play too many cheap cards. Cheap cards are typically less powerful (lower impact) than expensive cards. This makes them less valuable in general, and less beneficial to draw off the top of your deck in a creature stall. Play enough cheap creatures that you won't get overrun, and then begin to focus on your late game. (It depends on your deck and the format, but you typically won't need more than five or six one- and two-mana creatures in Sealed Deck). Second, make sure you have enough creatures. Removal spells are great in Sealed Deck, and you should play as many as you can get your hands on. However, you also want as many creatures as possible (I'd say that between fourteen and nineteen is ideal). You should play with very few cards that are not creatures or removal spells. If a card is not a threat, and doesn't directly answer a threat, it had better do something very, very special for you to play with it in Sealed Deck. Even knowing all of these things, the actual process of building your deck can be a challenge. The first time you open six booster packs might be overwhelming. It's hard to even know where to begin! While there's not necessarily a "best" process for building a Sealed Deck, it is important to have some kind of process, or else you might wind up wasting a lot of time and being unable to hone in on your best options. So to help those of you who might feel a little lost, what follows is a description of what I'll personally be doing when I open my packs at the Khans of Tarkir Prerelease. First, I'll open all six packs and sort my cards. I'll separate the five individual colors and sort my multicolor cards into the five wedges: Abzan, Jeskai, Sultai, Mardu, and Temur. 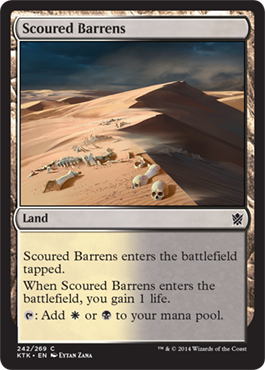 Second, I'll take a look at my nonbasic lands. Right away, this might rule out certain color combinations where my mana would be too unreliable. If I have a lot of mana fixing in certain combinations, I'll be drawn toward those combinations. Third, I'll gauge what my most powerful cards are. What are my rares? Which of them are bombs? What about my premium uncommons and removal spells? Fourth, I'll sort through and separate out the cards that I'm not excited to play with. This will include the bulk of my noncreature, non-removal cards, and some of my low-impact creatures. I can always revisit this pile later if my deck comes up a few cards short. At this point, I'll have a lot of information in my head, and maybe some things will begin to stand out. Where is my mana fixing? Where are my bombs? What colors are deep in solid cards? What colors are shallow? Now begins the work of actually looking at decks. If any color combinations stand out in my mind after sorting my cards, I'll start with those combinations. If not, it's okay to pick one at random (after all, you have to start somewhere). Say I've laid out an Abzan deck. Now I'll go through my list of criteria (what I look for in a Sealed Deck, listed above) and see how I like the deck. How's the mana curve? Are there any obvious weaknesses? Once I've gotten a good impression of the Abzan deck, I'll repeat the process for any other color combinations I'm curious about. I recommend using the full amount of time to build your Sealed Deck; there are tons of possibilities to consider! At a certain point, it'll be a matter of intuition; just go with what your gut tells you is the best. That's Sealed Deck in a nutshell. It's a perfect starting point for new players, both because you don't need a collection to sit down and play, and because it perfectly demonstrates the fundamentals of Magic. You can improve very quickly by playing Sealed Deck! 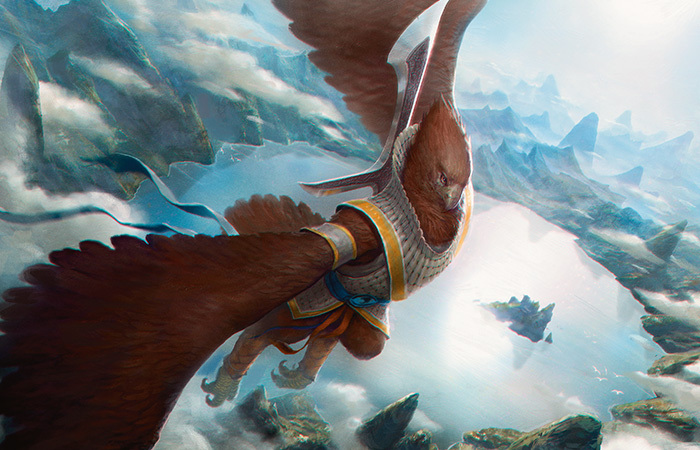 Whether you're a new player yourself, or you know someone just getting into the game, or if you're just looking to stay sharp and hone your skills, try to make time for the Khans of Tarkir Prerelease. I know I'll be there!